Icterids are remarkably diverse in size. They range from the slim orchard oriole (Icterus spurius), which weighs as little as 0.6 oz (16 g), to the robust Montezuma's oropendola (Psarocolius montezuma), which can weigh as much as 1.2 lb (528 g), making it one of the largest songbirds. Most species are brightly colored, commonly with black (often with a bright metallic gloss) and yellow, but many species have prominent red coloration, and some of the oropendolas are greenish. Some species have a neck ruff; others, a sparse crest. thought to cure jaundice. 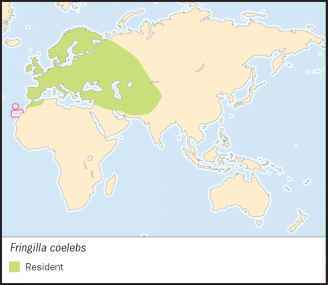 The English vernacular name for the New World orioles (Icterus) was given to them by early naturalists who thought them to be related to the Oriolus orioles of the Old World, but today it is realized that these birds are not closely related. There is a great deal of variation in bill size and shape in the Icteridae. Many blackbirds have rather long, stout, and pointed bills; the ridge of the upper mandible is often straight in profile, and may extend onto the forehead, forming a frontal shield. Some of the orioles have slim, gracile bills that are slightly downturned, and the bobolink (Dolichonyx oryzivorus) and some of the cowbirds (Molothrus) have a finchlike conical bill. Blackbirds—particularly those species that forage extensively on the ground—have rather large legs and long claws. Many species of blackbirds are strikingly sexually dimorphic in size. This is especially true in species where males are commonly polygynous (a male will be mated to two or more females in a single breeding season), e.g., Psarocolius, Agelaius, Quiscalus, and Xanthocephalus. As well, many blackbirds are sexually dimorphic in color. In dimorphic species, the males tend to have a bright display plumage whereas females are dull and relatively inconspicuous; the young tend to resemble females, and males may not develop their full display plumage until they are two years of age. Plumage dimorphism is characteristic of icterids that breed in north temperate areas. 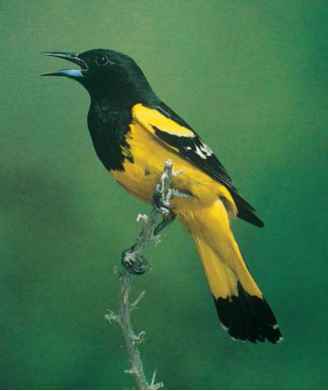 Within the orioles, the species that breed in North America, including some of the Mexican species, are dimorphic in color, whereas the tropical species (including the three South American species) are monomorphic (although the female is sometimes somewhat less brightly colored).